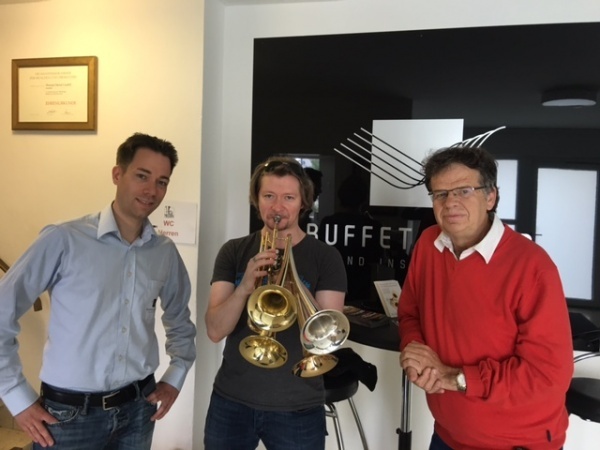 With great pleasure we have received today our artist Sergei Nakariakov in the Showroom Gertesried. Sergei is one of the truly great artists on trumpet and flugelhorn. For many years he plays our Antoine Courtois instruments. He made also an excursion to the "Hoyer" French horns and he had a lot of fun to test the different horns.